Well, since I am starting to read books for review on this blog, I am going to refrain from telling you about that, in the monthly review. There will still be other media and things that cross my path, however. Here are some reviews and things from March. 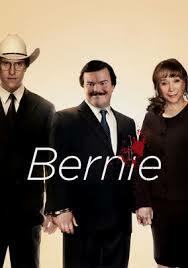 Bernie (movie, 2011 ). We rented this movie on the recommendation of a couple friends, and were pleasantly surprised. In my opinion, it’s not a watch again movie, but it was definitely worth the first watch. Honestly, the less you know about this movie before you watch it, the better, except that it’s based on a true story. It might be considered a black comedy, but is mostly small town drama. Ugly Betty (TV series, 2006-2010). I told myself that once I pushed through the publication of Benevolent, I would reward myself by re-claiming some of my evenings and watching Betty from the first episode on. I am a Betty fan, but I have never seen the whole series. As of April, I am almost half-way through the six season series. Betty has always seemed to garner plenty of accolades, so I don’t know what I can add to that. It’s based on a Hispanic soap opera, but has a very distinct American flare (no pun intended). It has been lauded for its use of a atypical, non-anorexic main character, for its acting, for its seamless (if not overwrought, on purpose) plot lines, for its lovable characters, and for its morality tales (found often in the immorality). I appreciate all this and the fashion and the lack of graphic scenes and the fact that Betty is the low woman on the totem pole, clawing her way with character and talent to the top. Sound familiar? 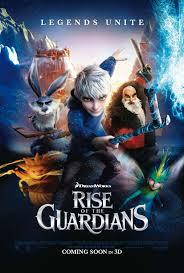 Rise of the Guardians (movie, 2012). Not a fan of the title. For one, I had it confused with Legend of the Guardians: The Owls of Ga’Hoole, which is an awful title. And not at all related. We went to see it because it was at the two-buck theater and the kids wanted to see it. I was pleasantly surprised. This movie will go down on my list of best kids’ movies of the year. It was funny, it was insightful (with meanings that could even be stretched to philosophy or religion), and it was entertaining. Also of note, this month; I published my first novel, Benevolent, in paperback form (ebook was last month) through my new, indie publishing company, Owl and Zebra Press. I kept the paperback availability on the down-low until March 18, when I launched, announcing its availability on the internet. The whole thing was a (small, virtual) three-ring circus, including custom tee-shirt giveaways, books giveaways, a Q & A session, guest blogs (still ongoing), author interviews, and announcements on Facebook, Twitter, and blogs. I am surprised, one weekend during the festivities, when an article about the book appears as the headliner for the D section of the Herald Sun.